It’s a very different story today — so much so that an economist with one of Canada’s biggest banks recently said “no more detached homes for you” in a note to clients. 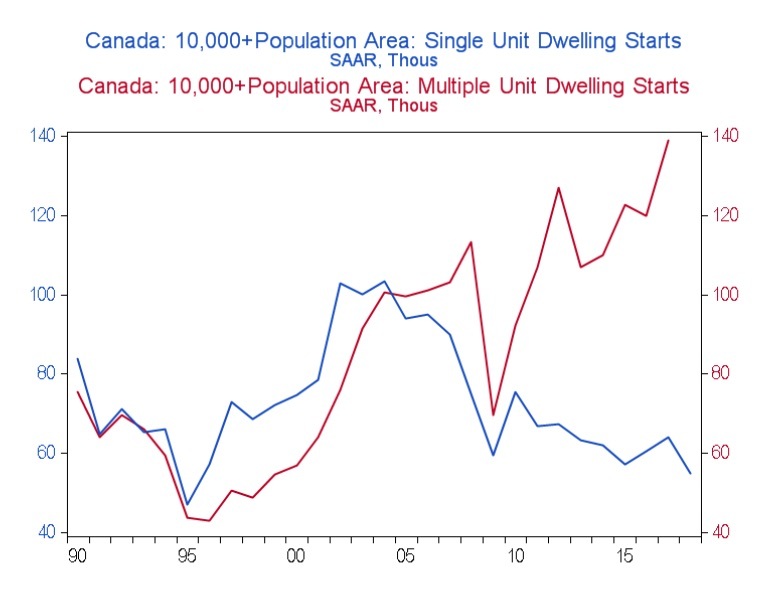 In the note, BMO Senior Economist Robert Kavcic charts construction trends since 1990, painting a picture of just how much the new-housing landscape has changed in the past three decades. From the 1990s until the mid-2000s, builders were consistently constructing more single-family homes than multi-family homes. Since the Great Recession, however, there has been parabolic growth in the multi-family segment, and Kavcic doesn’t expect the single-family segment to catch up. “The difference in new supply between these two segments couldn’t be starker, and various factors such as urban job growth, intensification requirements and greenbelts will likely keep this theme in play,” Kavcic writes. How wide is the gap between the pace of single- and multi-family home construction? According to the Canada Mortgage and Housing Corporation (CMHC), homebuilders began work on 54,220 detached houses in 2018, down from the already historically low total of 63,490 in 2017. Last year’s tally is “the lowest annual total for detached-home construction since the depth of the mid-1990s downturn,” says Kavcic. 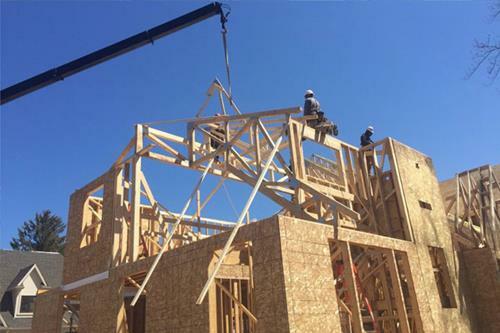 Across all other housing types, including purpose-built rental apartments, condos, and townhomes, workers started construction on 142,492 units, down from 138,884 in the previous year. “Keep in mind that 2017 was the strongest year in a decade so, despite somewhat softer momentum to close out the year, the pace of residential construction activity was still very solid heading into 2019,” Kavcic points out.